Use the form to the right to request more information. If you don’t have a pre-arranged plan for your passing, the myriad of details that need attention can be overwhelming. Our experienced and caring professionals help you through this difficult grieving period and answer any questions you have about what to do. Contact us for more information on our Veterans services. Our office partners with the Veterans of Foreign War (VFW). East Bay Cremation Planning. Our experienced staff at Trident Society Walnut Creek is available to assist you in East Bay funeral planning for cremation. Cremation allows for an individualized and meaningful tribute at a cost far less than a traditional funeral and burial. 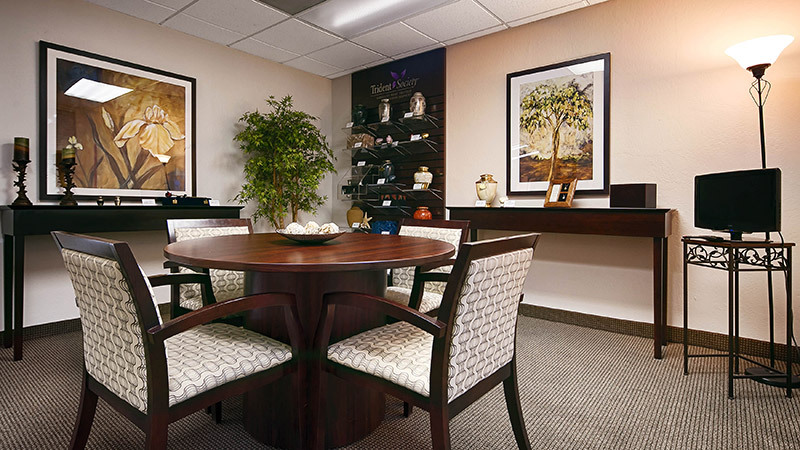 Our compassionate, expert staff at Trident Society Walnut Creek develops a cremation plan that defines your wishes, advises your loved ones, and ensures a dignified and professional experience. Affordable Prepaid Cremations in Walnut Creek. The Trident Society Walnut Creek has served Contra Costa County since 2005, providing quality pre paid cremation services at an exceptional value. A prepaid cremation service allows you to plan and pay for your own final needs to take advantage of today’s pricing, and to eliminate the responsibility of planning and cost for your loved ones. A preplanned and prepaid cremation ensures your final wishes are carried out and minimizes questions for your family. Contra Costa Cremation. 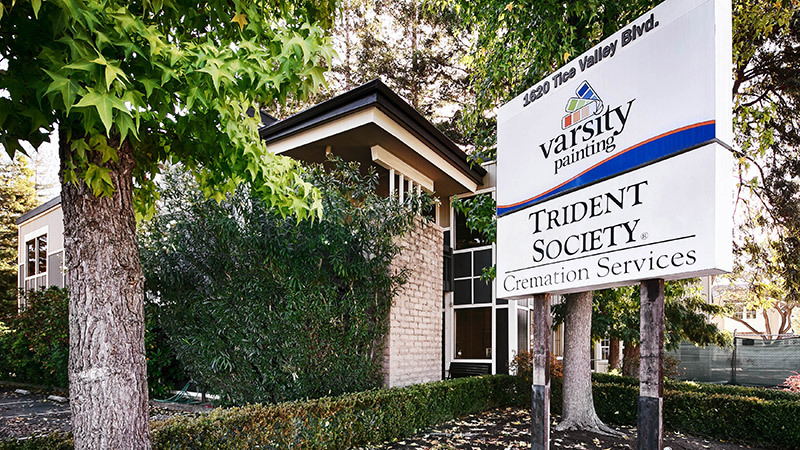 Richmond cremation services, Antioch cremation advice, San Ramon cremation plans, and Concord pre paid cremations are all available through the Trident Society Walnut Creek office. We look forward to visiting with you if you would like to discuss our range of cremation services and cremation plans. 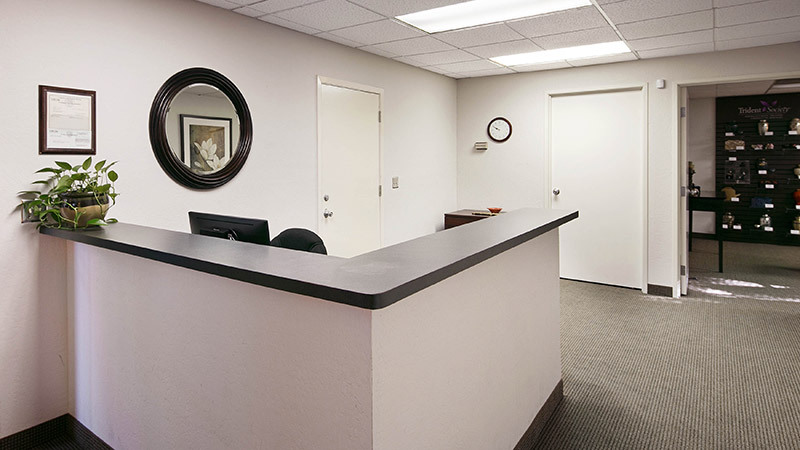 The Trident Society Walnut Creek is an integral part of the greater Walnut Creek area; our caring staff is heavily involved in service and volunteer work. We support senior citizen centers, the Toys for Tots program, Meals on Wheels, and the Knights of Columbus. Trident Society Walnut Creek established our own Trident Children’s Teddy Bear Program. 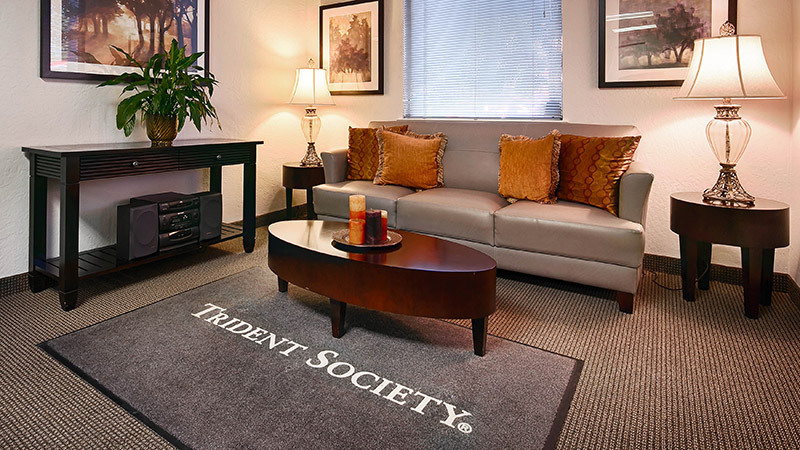 Walnut Creek residents trust Trident Society Walnut Creek to meet their pre-arranged pre paid cremation needs. Our office serves Alameda, Contra Costa, Solano, Napa, Sonoma, Marin, and San Francisco counties. Click for a list of items and services that may be included in a California funeral service. Take Highway 80 and merge onto I-980 E towards CA-24. Take CA-24 and follow signs for Walnut Creek/Concord. Take Exit 14 for Pleasant Hill Road. Keep right and follow signs for Pleasant Hill Road/S Rossmoor. Turn right onto Pleasant Hill Road. Turn left onto Olympic Blvd. Turn right onto Tice Valley Blvd. 1620 Tice Valley Blvd.,#100, Walnut Creek. Take Highway 80 to 780 and connect to Interstate 680 South. Take 680 S heading towards Pleasanton. Take the exit marked Olympic Blvd. Turn right onto Olympic Blvd. Make a left onto Tice Valley Blvd. Take 680 North towards Concord. Take the Olympic Blvd. exit and turn left. Turn left onto Tice Valley Blvd. Our service manager is longtime resident of the Bay Area. Ed enjoys being surrounded by diversity defined by cultures and local cuisines. His career path has always focused on customer service and dealing with the public. 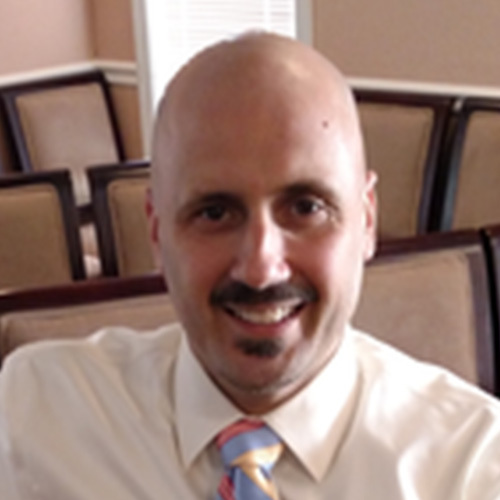 A licensed funeral director for 15 years, Ed looks forward to his next adventure, whether it is a cruise or a day spent in wine country surrounded by friends. 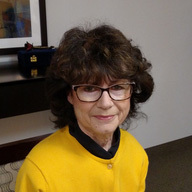 Kay is new to the Trident Society but has worked in the traditional funeral service industry as a licensed funeral director for the past 12 years. She is looking forward to her new position at Trident Society with a special interest in customer service. She wants to help the Trident Society families become well informed and make sure they are treated with respect and dignity. She and her husband spend their spare time raising chickens. Trident Society Walnut Creek, CA recently donated a lovely gift basket to the 2018 Rossmoor Art & Wine Festival. The Art & Wine Festival is a charity event to raise awareness and funds for Hospice of the East Bay. Trident Society provides donations for local hospices. Contact our office at (925) 932-2799 for details. 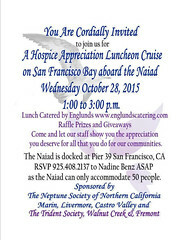 Trident Society is inviting members of our hospice community out to San Francisco for a trip on our scattering yacht, The Naiad. Please contact our office for additional details.